"Regard it as just as desirable to build a chicken house as to build a cathedral." "Hundreds of families visit our chicken coop at the Madison Children's Museum each week. Chickens are fun, quiet and easy to care for pets that also happen to provide us with fresh, healthy food! Keeping our chickens happy and clean only takes about ten minutes per day. 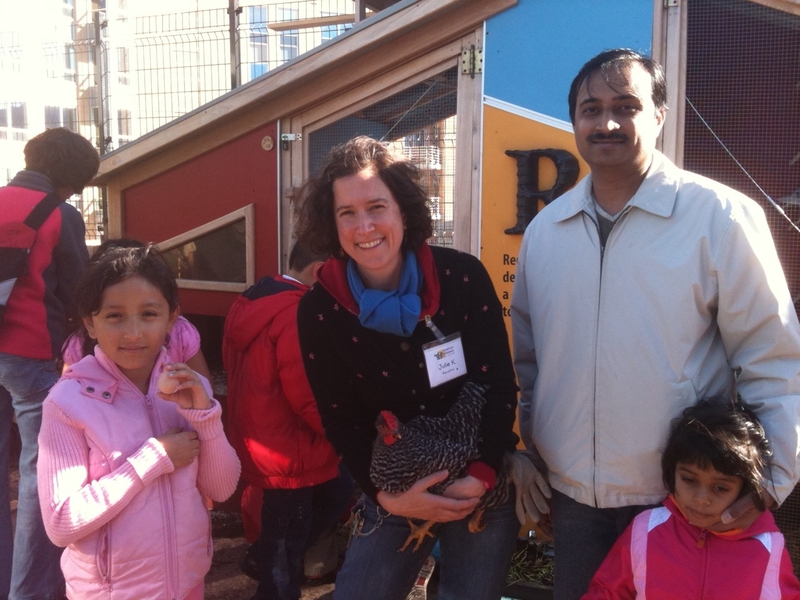 The educational value of backyard chicken-keeping is invaluable. Children learn how to take care of pets as well as a healthy respect for nature. 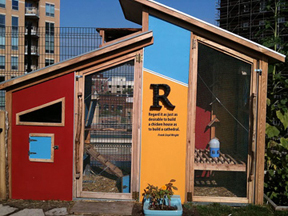 Backyard chickens also encourage children to spend time learning and playing outdoors. 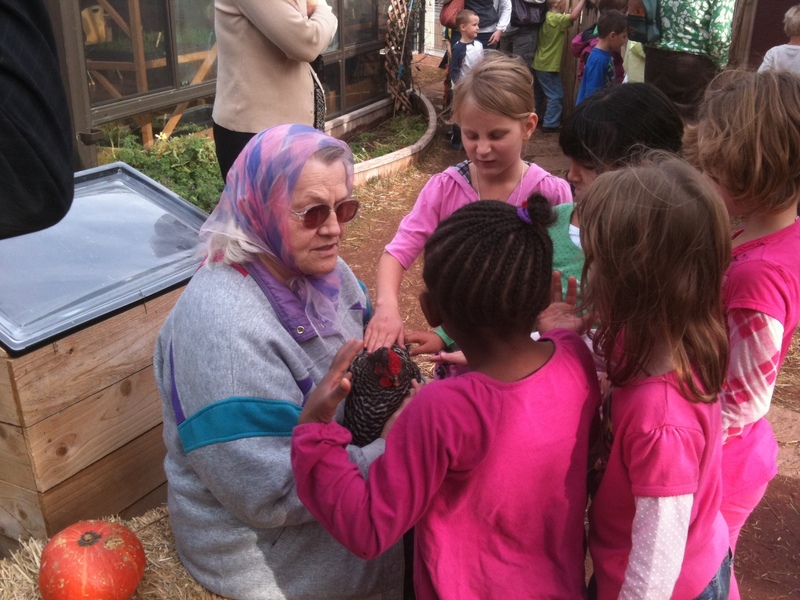 Children discover where their food comes from and that all food doesn't necessarily come from the grocery store. Chickens are easier to care for than dogs, and definitely much quieter! Please come to the Madison Children's Museum to see a working chicken coop in action. Our hens Hortense, Cheddar, Poachie, Rosaline Peck, Bernice and Wonda will be happy to meet you!"